As uncomfortable as it might look, hunting in the rain is the best type of hunting for some. Hunting in the rain is more challenging and what kind of a hunter are you if you can’t take a little bit of rain? But, it is challenging not only for you, but for your hunting gear as well. You need to find specific rain gear that gives you freedom on the move and keeps you dry, above everything else. 0.1 How is hunting rain gear supposed to be like? 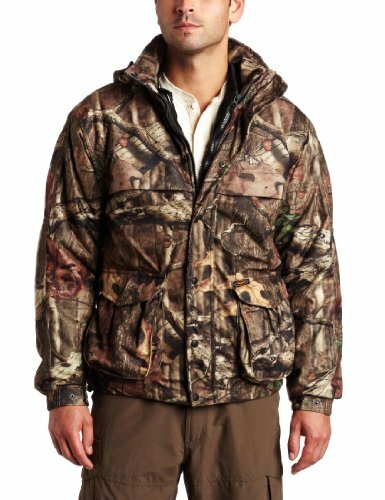 How is hunting rain gear supposed to be like? There are some specific things to look for when shopping for good rain hunting gear. Good rain gear for hunting is, stands to reason, waterproof. Take care when you look for this label as nowadays this is used too often and doesn’t specifically mean it’s true. Along with the term “waterproof”, your hunting gear has to be “water repellent” and “water resistant”. Only when you see all of these features on your gear you may be sure that it is indeed waterproof. If you look at a jacket that is water repellent coated, then it means this jacket is chemically treated so that it keeps water away from absorbing into the fabric and makes the water run off. This is temporary though and in time a lot of leaking might happen. Only “waterproof” hunting gear keeps you 100% dry. This kind of gear keeps you dry in extreme conditions and high pressures and is also able to stop the water entering your gear at seams, hems, sleeve openings and so on. This is the true waterproof hunting gear. This kind of waterproofing lowers the comfort level though, and you need to give a good thought on what’s the most important thing to you: comfort or staying dry. If you typically hunt, hike or trail run, you know that “breathable” is another quality to look for in your hunting gear. This feature is essential to any kind of gear worn in physical activity and it means it keeps you comfortable and dry even when you sweat. The “breathable” hunting gear lets your sweat evaporate through fabric into the air. Traditional rain gear is not very breathable and finding good breathable rain gear is important when hiking or hunting in warm weather. Your hunting rain gear has also to be packable. When you wear many layers, last thing you want is carry around your rain jacket as it’s too heavy. So you need to have a good, easy to pack rain gear as you simply want to be prepared for the rain. The rain hunting gear has to fold and compress down easily so that it takes only a bit of the space of your backpack. No matter how high quality your hunting gear might be, heavy wear makes the DWR coating to wear off. Your hunting gear takes not only the rain, but also the skin oil, sweat and dirt. Once these get into the membrane of your gear, the features of your rain gear begin to fade. Your rain gear begins to smell and doesn’t keep you dry as it uses to be. You know that your rain hunting gear is not good as new anymore when your skin feels a bit clammy under the fabric and the gear feels heavyweight. Your gear still performs well but there are two things that you can do to improve its performances. You need to wash your hunting rain gear, accordingly to the instructions from the tag, exactly how it says. Go for Nikwax Tech Wash and not the typical detergent. Simply add the Tech Wash in the machine, along your gear and use a cold-water wash on a gentle cycle. Rinse the hunting gear with water after the wash and tumble it dry, on low heat. To revive your gear’s DWR you can apply a spray or put the product into the ways with your rain gear. There are products that need to be added to a clean load and you just throw it into the dryer, the low or medium heat setting to revive the water-repellent feature of your rain hunting gear. Try to avoid washing too often your hunting rain gear as waterproofness and breathability fade away because of that. Wash it only when it’s completely necessary and take care of it as much as you can. But, in the end, this is a great piece of garment for your rain hunting gear anytime. Either than this, we have no other complaints. 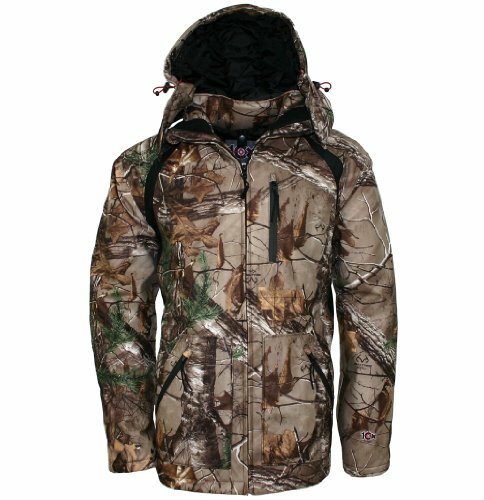 This is a 3-in-1 parka hunting jacket that manages to do many things, for a good price, when you come to think of it. 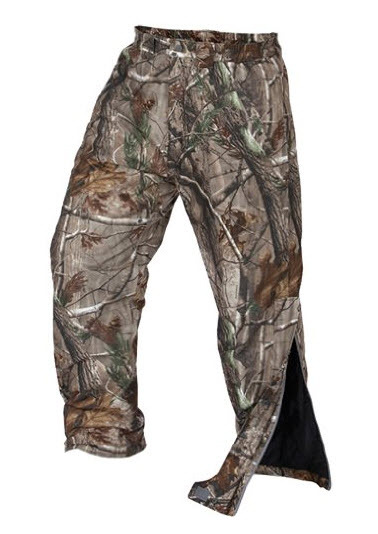 Your hunting rain gear has to include good rain hunting pants. You should give it a try with these Arctic Shield QuietTech Pants that are waterproof, more than anything else. As they are great when it comes to waterproofness and protection against the wind, we can’t say the same thing about the breathability. Unfortunately, the pants don’t breathe very well and maintain the moisture inside. But, for the money you pay, they are a good deal. 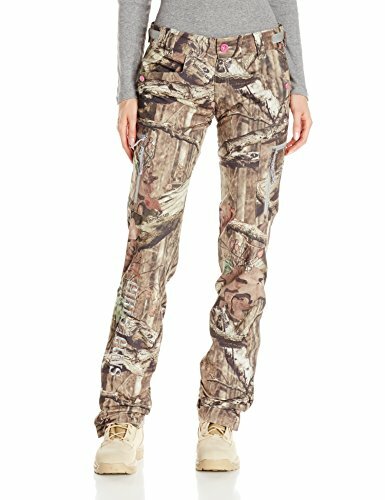 But, for the early season, these are a great pair of rain hunting pants for women. If you like the simple things and experience lower back pains, than a rain hunting suits is your best option. 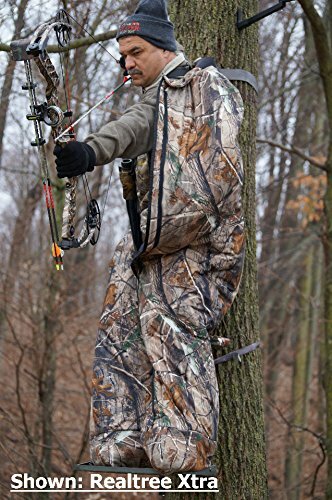 The Heater Body Suit LARGE-WIDE Mossy Oak Break-Up Infinity Hunting Clothes is not only water resistant, but also meets highest expectations when it comes to rain hunting gear. When we think about the downsides, there is only one to mention. It’s the price that is on the higher end, but you are making an investment that lasts for many years.